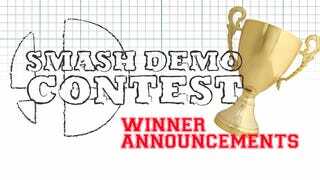 Smash Demo Quickdraw: Winner Announcements! So the taker for first place with 8 stars was Nach. Get in contact with me and I'll send you over your Smash Demo Code. Second Place was a tie between Bonny, Cyuzi, and Josay!, so I left it up to chance to see who would take the second code. And the winner is Josay!! Just like Nach, let me know how to best send you the code and I'll make sure you get it. Congrats to the winners and thanks for everyone who participated, I wish I could give out a consolation prize. Look at it this way, you only have to wait till the end of the week to download your limited version for yourself. ;) Be sure to check out the original post to see all the entries!